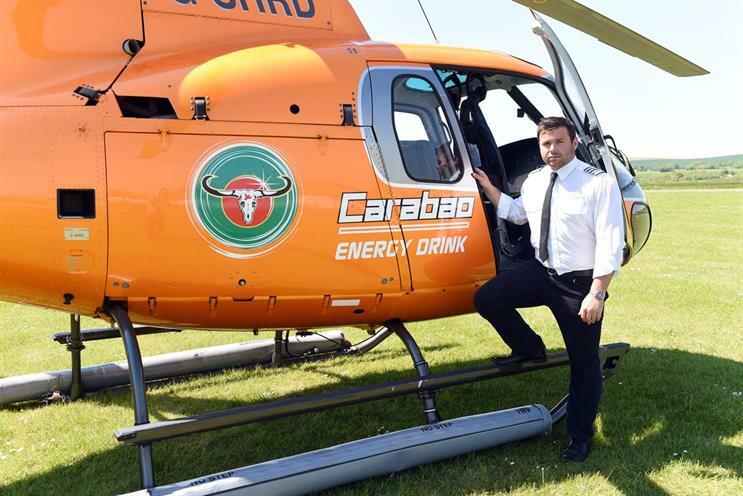 Energy drink brand Carabao will this week offer select commuters a journey to work worthy of the Wolf of Wall Street when it flies a helicopter from Brighton to London for three days this week. The idea, which has been created by W Communications, coincides with what has been described as the biggest ever shake-up to UK rail timetables. The change has increased the numbers of trains continuing north to south through London, with services such as Brighton to Cambridge being offered for the first time. Changes have been designed to add extra capacity to the rail system, especially at peak times – but in true British commuter fashion, they have not been universally well received. Carabao will be operating chopper flights from Brighton City Airport (just outside the city in Shoreham-by-Sea) to London Battersea at 8am on Wednesday, Thursday and Friday this week. The brand will be making flight check-in announcements on its Twitter account, and commuters hoping to take advantage of the 30-minute airborne journey time will need to share a post with the hashtag #CarabaoCopterSOS. The initiative, which will be promoted through paid social after this week, is part of brand campaign "The bonkers drink for bonkers lives". John Luck, chief marketing officer at Carabao UK, said: "More than ever, commuters are living increasingly busy and bonkers daily lives. As a commuter from Brighton myself, I understand those Southern Fail moments – sometimes you just need a boost to get you through." Luck said the brand would consider launching the service in other cities in the future. Mark Perkins, executive creative director at W, added: "As millions of us will testify there can be nothing more bonkers than simply trying to get to and from work. Nothing epitomises that more than the people who have no choice but to use Southern Rail and all the indignity and frustration that goes with it." Which was the last brand to have a chuckle at Southern's expense?